For those who are interested we have been informed by Jake Noonan's manager that there may be a story on him on Stateline on the ABC at 7.30pm tonight (Friday). Also if anyone would like some enjoyable reading there are feature articles on Mick Robins in the Winning Post and Track to Track magazine this week. 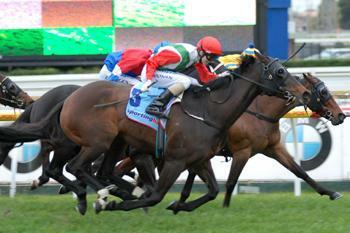 Hopefully we will make our own headlines with BUCCELLATI in the Caulfield Cup tomorrow!